This adrenaline junkie was addicted to physical activity before a back injury sidelined him a wheel chair for years. 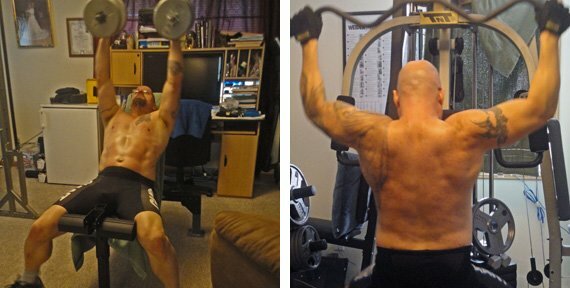 See how Dan fought back to regain his body and capture his lifelong goals! I was small and thin as a child. In high school, I decided to try weight lifting. I didn't know what I was doing, but I still tried. I was a very active after high school and participated in sky diving, mountain climbing, karate, and biking. I'm the type of person that never sits still. In my 30s, I had a serious back injury and was unable to walk. I could get around a bit, but for the most part I was in a wheelchair. I finally had surgery and the problem was corrected. They had me walking the next morning. By the next day, the nurses were telling me to stop walking so much and rest. I told them no. My goal was to walk from one end of the hall to the other and back. It took all day, but reaching the far wall and touching it was very rewarding. I made the mistake of letting this injury hold me back from an active lifestyle. I didn't want to get hurt again, so I stopped being active and started to pack on pounds. I hit 198 pounds. This wasn't me. 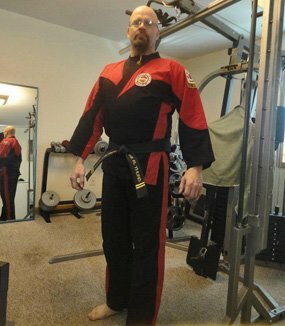 That's when I started working out, got back into martial arts, lost a lot of weight, and got down to 159 pounds. I was unhappy with how I looked, so I started weight lifting, put on a few pounds, and started feeling better about my appearance. I started doing heavy weapons fighting in full armor and worked out harder to deal with the weight of the armor. 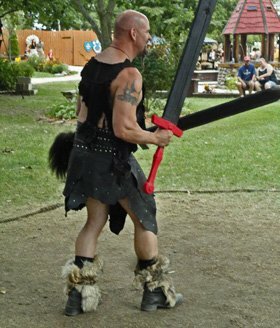 I'm a performer at a renaissance faire. My persona is a barbarian, so I wanted to be in the best physical shape possible and build muscle. Last year, I was tired of being covered up because I didn't like how I looked. I hit the workouts hard and still didn't see the results I wanted. I adjusted my diet and finally started to see real results. Raw dedication is how I got to where I am now. It started by learning how to walk again, forcing my way through injuries, and ignoring the pain and fear. My wife pushes me with encouraging words and laughs at me if I cry too much or stop too early. Eating right has been the hardest part of this journey. In order to achieve my goals, I have to consume the right amount of macronutrients. My wife and I don't buy prepared foods anymore; we prepare our meals from scratch. We make one very large meal, divide it up into single serving containers, and put them in the deep freezer. We weigh and label everything so we know exactly what we're eating. I built my own workout and change it up every week. I had to build it around my work schedule. Working 12-hour days limits my gym time, so I do strength training on days I have off. When I'm do cardio on the three days that I work. (walking 10-12 miles during a 12 hour shift). Dieting is the most challenging part. It's constantly being changed. I may add or remove calories depending on what my weight is doing. I want to keep pushing myself and stay healthy. My goal is to hit 225 pounds with less than 10 percent body fat when I reach 50 years old and enter my first bodybuilding competition. You can only do this for yourself. I've always said: "Zero excuses, 30 percent exercise, 70 percent diet, and 100 percent satisfaction. We all have what it takes; it's just a matter of using that inner strength. I'm a learn-as-you-go person. 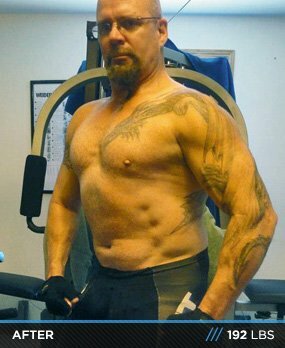 I found the information on Bodybuilding.com to be very helpful. I learned so much from reading on the site; how to eat, set up a routine, and have proper form on each exercise. 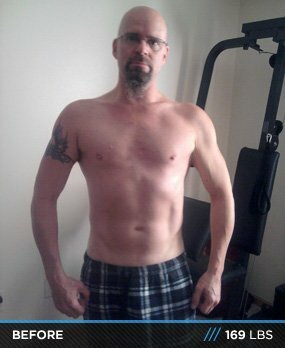 I wouldn't be where I am today without the resources at Bodybuilding.com.